Come and join us with this great challenge. Head over to the challenge and take a look at the fabulous inspiration from the Design Team. As gorgeous as a bridal bouquet…wowza! Stunning beautiful pink roses for this gorgeous card…so pretty! This card is so beautiful,Narelle!! I love…love the flowers and the burlap strings!! I agree, this is SO beautiful! What a wonderful design! GORGEOUS card! Love the various elements you used to create such a romantic piece! This is beautiful! Love the spray of flowers!! Lots of gorgeous recycling Narelle! lovely card. This rates right up there with one of the prettiest cards you’ve done! Love everything about it–especially the “recycled” parts added in to make it all perfect! All I can say about this is – stunning! So beautiful! Love the bouquet of roses! 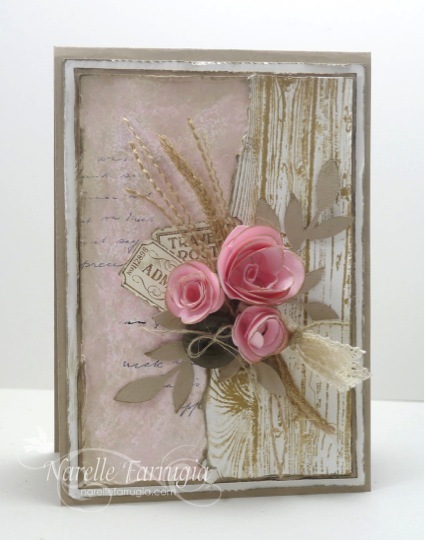 Narelle, your card is so beautiful! 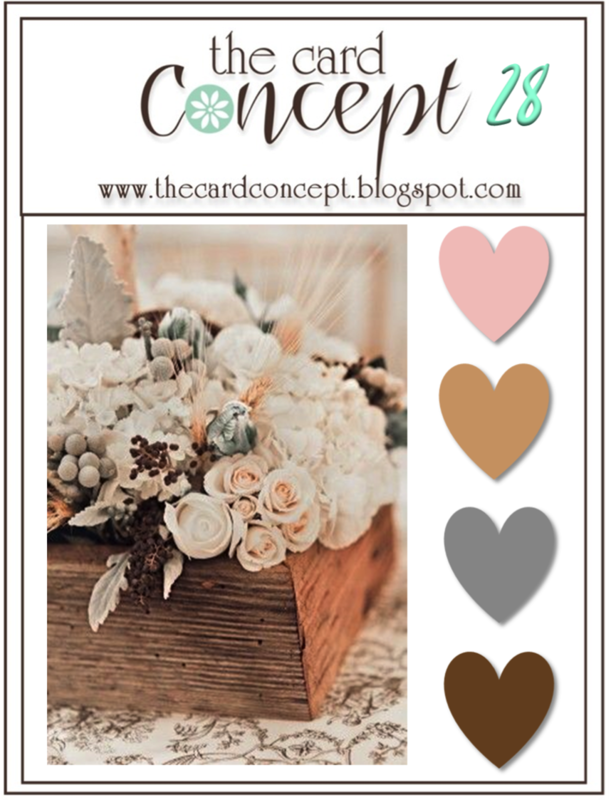 I love those pale pink roses on the neutral background!